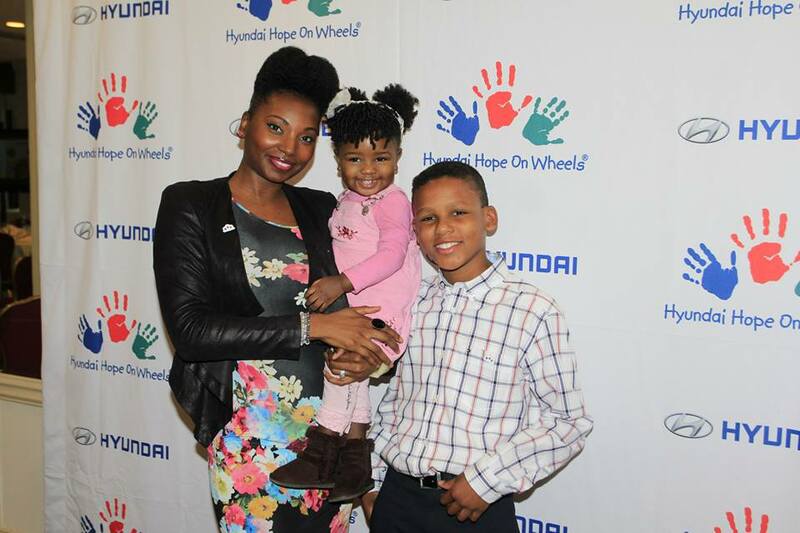 Last week I had the pleasure of attending The MOMS’ and Hyundai’s Hope On Wheels, Mamarazzi® Luncheon at the Warwick Hotel in NYC, with my husband and daughter. 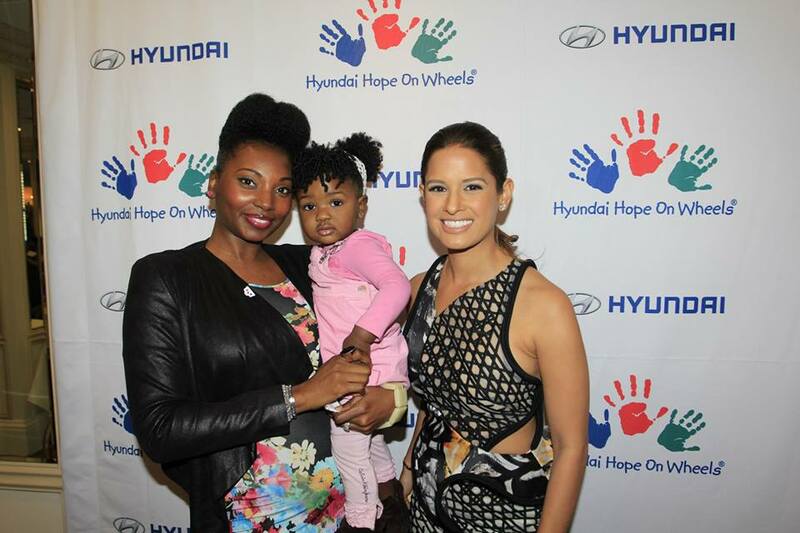 The MOMS hosted this luncheon, with guest host Rocsi Diaz, to help raise awareness of pediatric cancer. There was a fantastic panel of pediatricians, oncologists, and parents (whose children are cancer survivors) at this wonderful luncheon, and I have to say, I learned A LOT! 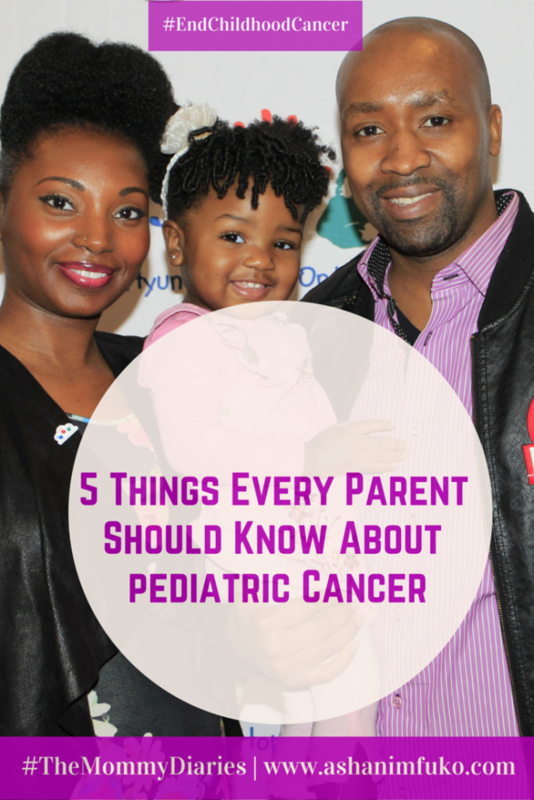 Minus my daughter’s distractions every 2 seconds, I was able to hear stories from these incredible parents, of what it was like to hear the words, “Your child has cancer”. They shared their fears, frustration, confusion, and ultimately, their determination, once they heard those four words, to do everything in their power to get their child healthy again. Out of everything that was shared at this luncheon, there were five really important points that I want to share with you today, that every parent and doctor on the panel spoke about, in relation to childhood cancer. Although I’ve never personally experienced what it’s like to have a child with pediatric cancer, after attending this luncheon, I felt like I was more equipped and knowledgeable about how to deal with this situation, should I ever be faced with it. 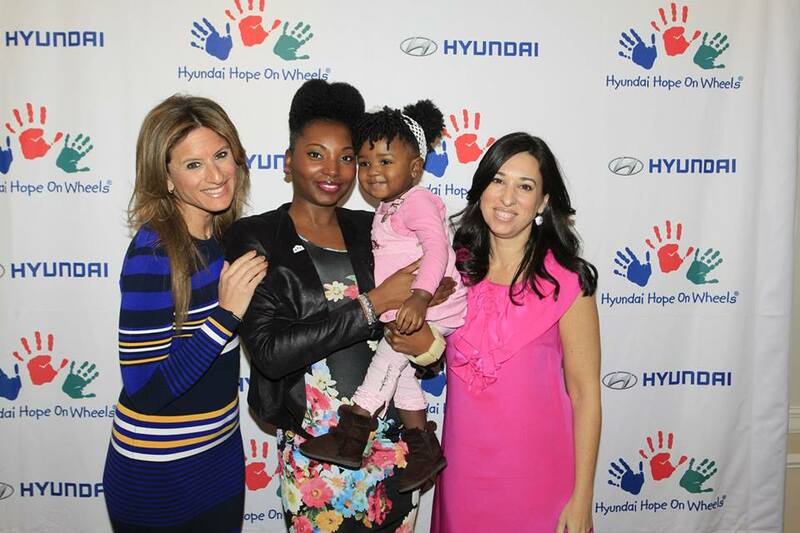 Hyundai Hope On Wheels, a national independent 501(c)(3) nonprofit organization committed to helping kids fight cancer. The program is supported by Hyundai Motor America and its more than 820 dealers nationwide. Every time a new Hyundai vehicle is sold in the U.S., Hyundai customers join Hyundai and its dealers in this cause. There’s no rhyme or reason to pediatric cancer. We don’t know why it happens to the innocent children it happens to. There’s nothing, from a medical standpoint, that you can do to prevent it from happening, related to diet, exercise, etc., unlike different forms of adult cancers. Don’t worry about why it happened. Focus on getting your child healthy again, and keeping your family strong and positive during this difficult time. 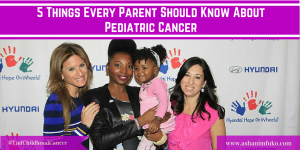 Many symptoms of pediatric cancer are similar to the symptoms of lots of other sicknesses and illnesses, which is why it can sometimes go undiagnosed or undetected at first glance. But when you notice unusual things like red spots on your child’s body, lumps or bumps that are there for extended periods of time that have no known source (i.e. from a fall or other accident that occurred), etc., you should look into it immediately. Any symptoms that seem odd, and will not go away, you should not take lightly, and take your child to the pediatrician as soon as possible. Another important point to note is that, there is no evidence that a delay, by a few weeks or so, in seeing the doctor, negatively impacts the severity of pediatric cancer. This is very different from adult cancers like breast cancer or colon cancer, where early detection makes all the difference. 3. Be persistent and proactive. If your child has symptoms that aren’t going away, and not being resolved by medications prescribed by your pediatrician, don’t stop until you find out what is wrong with them, and a medication that works permanently. Request a blood test, an x-ray, or get a second and third opinion. Basically, don’t quit until you and your doctor have successfully determined what is wrong with your child, and found the proper medication/treatment for them. If you feel like something is wrong with your child, then it probably is. Your maternal instinct is a powerful force! Do not ignore it and allow a medical professional (or family member/friend) to pacify your doubts and concerns. Pursue answers, solutions, and explanations, until you’re satisfied. It’s better to be safe than sorry. 5. Be Determined To Stay Positive and Not Give Up. 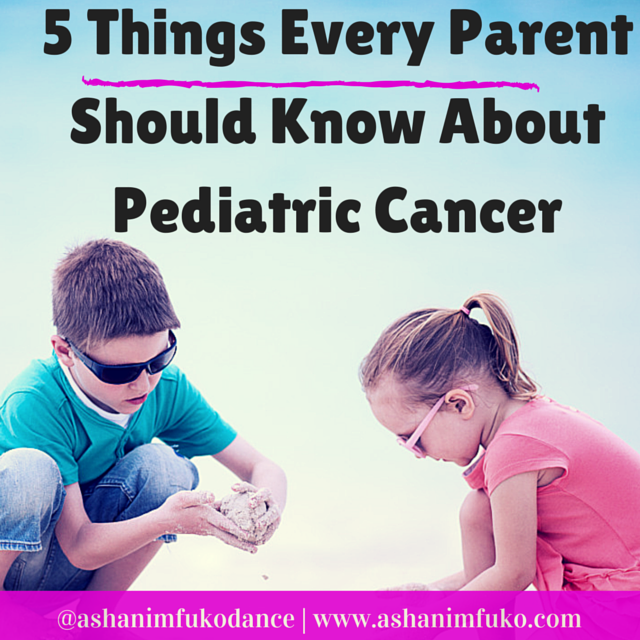 No parent wants to hear the words, “your child has cancer”. It’s one of our worse nightmares come to life. But what happens next is what makes all the difference. Resolve to do whatever it takes to get your child well, and back to a clean bill of health again. Stay positive, and know that you, your child, and your family will get through this, and come out stronger on the other side. You may be shocked to discover that only 4% of all federal cancer research funding is designated for pediatric cancer. But you can do your part to raise awareness of pediatric cancer by supporting organizations like Hyundai Hope On Wheels, supporting families who are dealing with this difficult disease, and spreading the word by using the hashtag #EndChildhoodCancer. I pray that one day this disease will be no more. Even one child with pediatric cancer, is one child too many. Please share this post on social media t help raise awareness of pediatric cancer. Please share this post on social media to help raise awareness and bring attention to this cause. 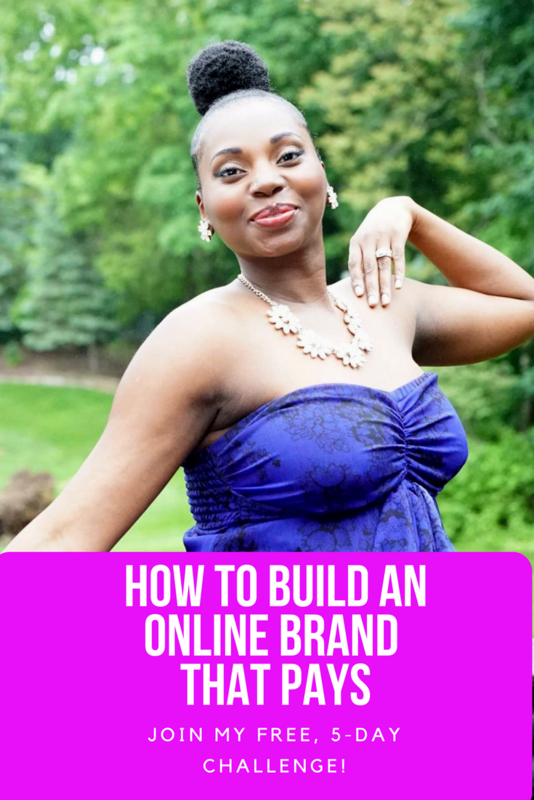 Feel free to leave a comment below as well. I’d love to hear from you!